This article gives you complete details about Euro 2012. There are 16 teams qualified for 2012 UEFA European Football Championship. Teams qualified for Euro 2012 and fixtures of Euro 2012 are quoted in this article. Read the article full for more details. UEFA Euro 2012 is the biggest football tournament after FIFA world cup 2010 and Copa AmericA 2011. EURO 2012 is the 14th European championship sanctioned by UEFA. The main venues for 2012 UEFA European Football Championship are Poland and Ukraine. 2012 UEFA European Football Championship will take place between 8th June and 1st July 2012. Poland and Ukraine were selected as the host nation by the UEFA Executive Committee in 2007. There will be 51 nations played for qualification tournament and out of which top 16 teams will enter into 2012 UEFA European Football Championship finals. The winner of 2012 UEFA European Football Championship will have a place in 2013 FIFA Confederations Cup which takes place in Brazil. There will be group stages, knock out rounds, quarter finals, semi finals and finals in Euro 2012. 16 teams are divided into 4 groups and each group contains 4 teams. Tickets for Euro 2012 are sold through online from the official website of UEFA. More details about the qualified teams for Euro 2012 and fixtures of Euro 2012 are given below. There are 51 teams participated and played each other in qualification rounds which are over and out of which 16 teams are selected for finals of Euro 2012. 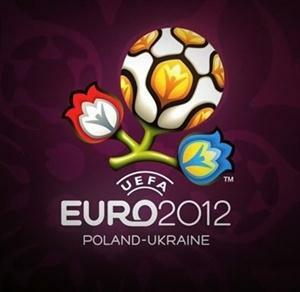 Ukraine and Poland are already qualified as they are the host nations for UEFA Euro 2012. More details about the list of qualified teams for Euro 2012 are given below. There are four groups included in UEFA Euro 2012. Each group consists of 4 teams. More details about teams in each group is given below.